Starting this Wednesday, February 20, all flights operated by TACA Airlines and AeroGal, airlines member of AviancaTaca Holding, which are originating from or destined to Quito (Ecuador) will operate operating from the new Mariscal Sucre international Airport, located 40 kilometers east of the Ecuadorian capital. Ninety (90) minutes in advance for domestic flights. Three (3) hours in advance for international flights. From the Mariscal Sucre airport in Quito, AeroGal operates flights to Guayaquil, Cuenca, Manta, Coca, San Cristóbal, Baltra, within Ecuador. 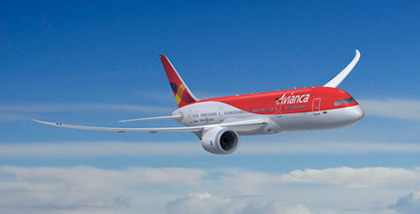 Similarly, operates in codeshare with Avianca and TACA flights that connect Quito with Bogotá, Medellín and Lima, respectively. Moreover, TACA Airlines operates flights linking the capital of Ecuador to San Salvador and San José, Costa Rica from this terminal. The national cargo service via AeroGal is done from collection center in the city - Pasaje La Bombonerita y De los Rosales-. For more information about their flight, travelers can contact us toll free 1800 AeroGal in Ecuador or abroad, dialing the number 593-2 2942800.